Having tasted this expression and the Ardbeg 10 Year Old, I prefer the Ardbeg 10 Year Old. In contrast, the Ardbeg 10 Year Old seems to have a distillate driven sweetness instead of relying on the oak influence to provide a counterweight to the peat, which provides a beautiful balance without the unsettling bitterness that I get from the Ardbeg Galileo. There is a nagging tannic bitterness that becomes increasingly annoying, frustrating what is otherwise a superb Ardbeg creation! The wine influence is sweet and syrupy and precedes that tannic intrusion. The Ardbeg Galileo, named the World’s Best Single Malt Whisky at the 2013 World Whiskies Awards, has sparked lots of interest and debate from whisky lovers around the world. This whisky is light and fresh on the nose and hits the tongue like a velvet hammer with the smoke of canon fire – BOOM! – releasing a dense fog of peated smokiness (as expected from Ardbeg!) that is cut through by rays of bright sweetness and incredibly diverse character. This is nice work by Ardbeg, but after being open for a while this whisky’s magic fades a little, so I had to re-visit this post. There is a nagging tannic bitterness that becomes increasingly annoying, frustrating what is otherwise a superb Ardbeg creation! 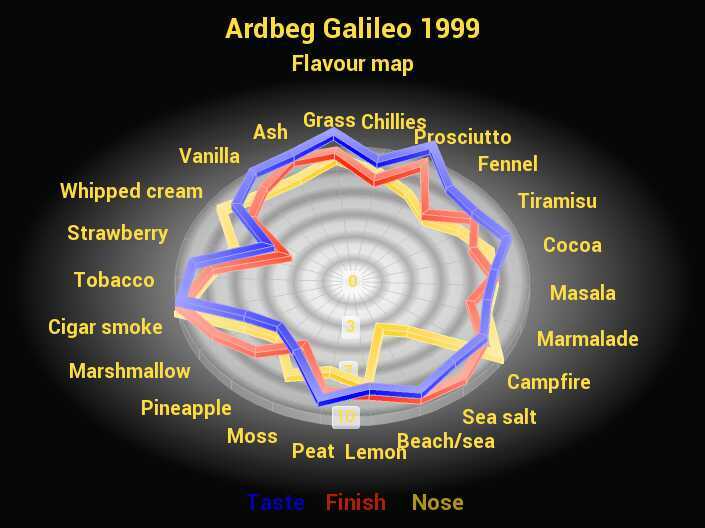 The Ardbeg Galileo celebrates “Ardbeg’s first ever experiment in space” which involved “testing “micro organic compounds in a maturation experiment … between normal gravity on Earth and micro gravity” far up towards where the stars flicker on the International Space Station… moving on! Aptly named after Galileo Galileo, the father of astronomy, this whisky offers an Italian connection in that it is matured in ex-Marsala casks from Sicily. Galileo Galilei was born in 1654 in Pisa, and argued that the Earth actually gravitated around the sun rather than the sun around the Earth as was commonly believed at the time He got into trouble for his views, wrote a few books some of which were black listed and prohibited by the authorities, and influenced the development of modern science! I bet he had some fun too, stirring the big Italian pot that was Pisa. 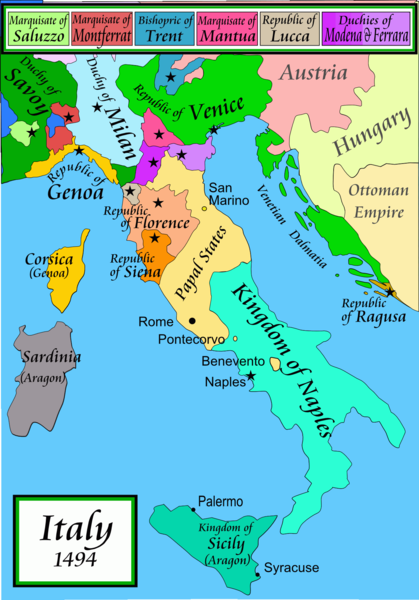 As you can see from the map Naples was a kingdom, as was Sicily (which were later known as the Kingdom of the Two Sicilies). You can see the Kingdom of Florence just east of Corsica. As for this whisky, OHH! ma che bella!! Now for an “OHH! !” from Paulie Walnuts so you know what I’m talking about. 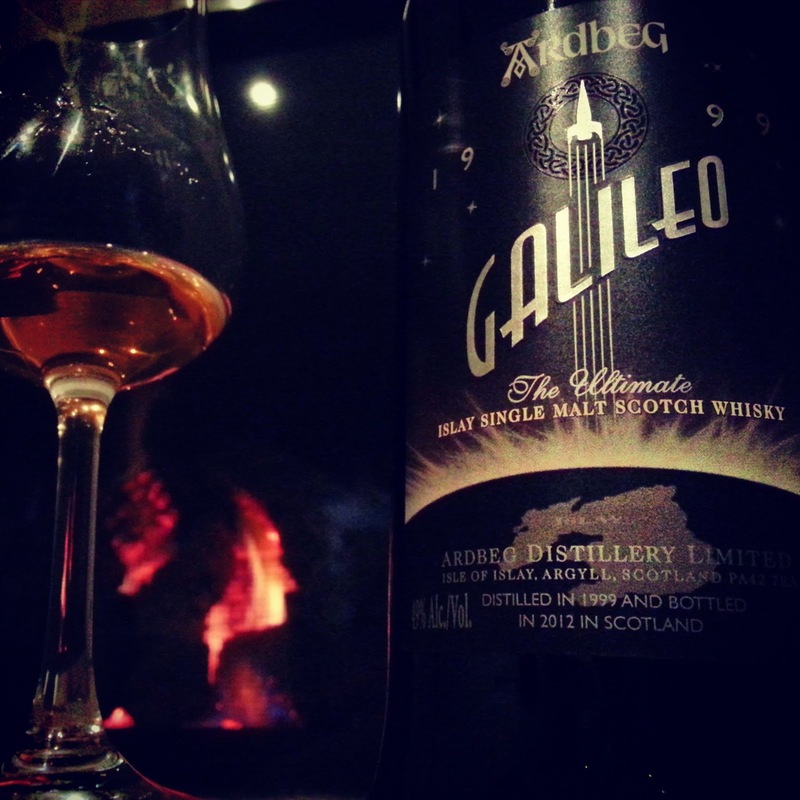 The Ardbeg Galileo was crowned as the World’s Best Single Malt Whisky at the 2013 World Whiskies Awards. Many whisky bloggers and whisky writers do not agree with this award, questioning whether this whisky truly is the world’s best. In keeping with the Italian theme, tasting this whisky for the first time is like watching Roberto Baggio take the penalty at the 1994 World Cup final. Roberto Baggio was an Italian football player who was celebrated by many as the best player in the world, without doubt. Adored by many, hosts of teenage boys would try to shape their few sprouts of bum fluff just like Roberto’s famous goatee… and convinced it looked good sport it around our “little Italy” which is called Lygon Street. As he positioned himself to take the penalty shot not many people would have predicted that the ball would shoot up into orbit in the same trajectory as Ardbeg’s organic compounds. It happened, and sometimes the best can miss the mark. 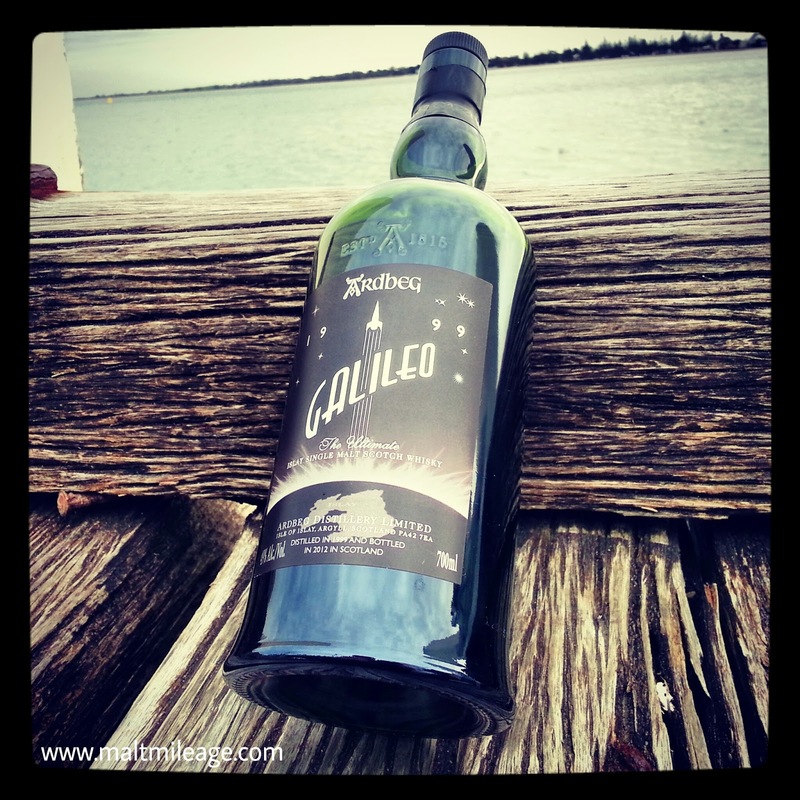 Not the Ardbeg Galileo. It slams the ball into the right corner of the pocket as I leap from my chair and scream GOAL!!!! GOAL!!!! GOAL!!! !… until it is open and its magic slowly creeps out of the bottle over time (after which, sadly, it is a little too bitter). I cannot say if it is the world’s best because I have not tasted all the whisky in the world… that is about 10,000+ expressions away I think! However, it does score a hat-rick in my book for its nose, taste and finish. It does lose its magic after being open for a few weeks, so this post needed re-visiting. The nose on this whisky is soft, fresh and light. The peat does not dominate, and instead it wafts up gently with the aroma of a cigar smoke and campfire most noticeable with grass and ash and the toasting of marshmallow smothered with whipped cream. Bitter-sweet marmalade also develop with the general theme of lemon, as the richness of mascapone cheese merges with sprinkings of coffee and cocoa to give the aroma of tiramisu. Just like an Italian dinner, it is not complete without prosciutto which forms with the sharp cut of sweet chillies. Strawberry is also noticeable, as bursts of pineapple bring sweetness. The character on the nose seamlessly move onto the palate, with the exception of large bursts of sea salt and sea breeze adding a sensational saltiness and earthiness. That campfire is still burning, as dense cigar smoke fills the mouth with a burst of peat. With luscious texture the vanilla and whipped cream coat the tongue as bursts of sweetness shimmer on the tongue. The crunch of fennel unleashes pops of licorice, which were lightly experienced on the nose. This is powerful on the palate, yet smooth as silk and creamy. It is not overly peated, and the sweetness weaves around the smoke to give a very well balanced experience. The peat is like a velvet hammer – POW! It is soft and smooth but has lots of clout. On the downside, a strange bitterness becomes more pronounced almost like wet black tea leaves. The wine influence is sometimes overpowering, unleashing a sweetness that unsettles the experience. This whisky has a sensational finish that lingers on the tongue. The peat smoke dances with bravado as the rest of the character in this whisky takes its lead and lets loose on the tongue!